We all know someone with a bad back. 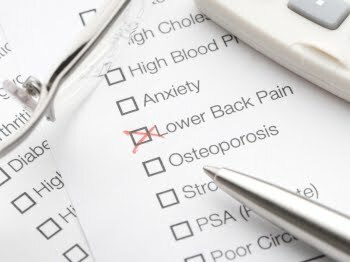 Most of us have also suffered from back pain ourselves - in fact, it's one of the most common health problems in the UK. About 30% of the workforce has taken time off because of back pain, costing the economy millions. Roughly 7 out of 10 people with back pain suffer with it for as long as ten years, or even longer! Of course, if you have any kind of serious or persistent pain you should talk to a medical professional before doing anything else. But, if you already know what's causing your pain and there isn't a medical problem, Pilates is hands down the most effective way to treat it. Pilates relaxes and strengthens the group of muscles that support the spine. Relaxing these muscles is crucial because tension and muscle spasms contribute to pain. Strengthening the back muscles is one of the major benefits of Pilates. Lynne Robinson, the co-founder of Body Control Pilates, recently confirmed: "The goal of Pilates is to make the spine both stable and mobile." 1. Come to our Open Day on Saturday 19th November to learn more about how Pilates can help you... Pick up a free goody bag and try a taster Reformer class! 2. Click here to download your free copy of Peta Davies's Amazingly Simple Guide to Reduce Low Back Pain featuring 6 easy-peasy exercises to do at home.